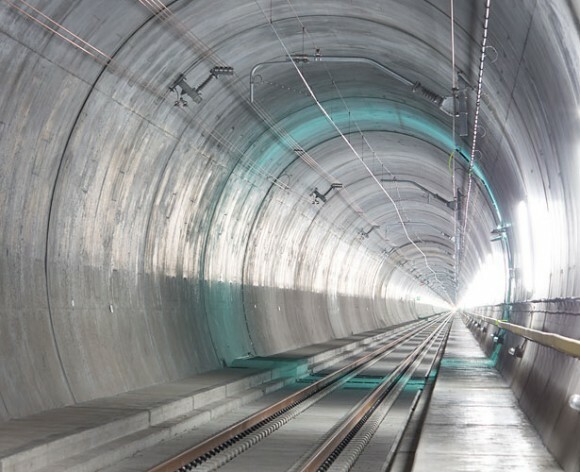 Posted on 2, June 2016 by EuropaWire PR Editors | This entry was posted in Infrastructure & Utilities, Insurance, Switzerland and tagged Allianz Global Corporate & Specialty, Allianz Swiss, Euler Hermes, insurers, world's longest tunnel opened in the Swiss Alps. Bookmark the permalink. MUNICH, 02-Jun-2016 — /EuropaWire/ — On June 1st, the longest tunnel in the world will open in the Swiss Alps. It has taken 17 years to complete. Allianz with its entities Allianz Swiss, Euler Hermes and Allianz Global Corporate & Specialty has been a lead insurer from start to finish. 28.2 million tonnes of rock were excavated to build the 57-km-long Gotthard Base Tunnel. That’s five times the weight of the Great Pyramid of Giza. Up to 2,400 people were involved during peak times, working around the clock, up to 2,300 meters below ground and with rock reaching temperatures of 50 C°.